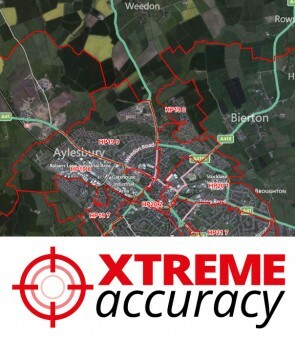 Postcode Boundary Data are used in Geographic Information Systems (GIS) for a Wide Range of Analaysis, Sales, Business and Marketing Purposes. 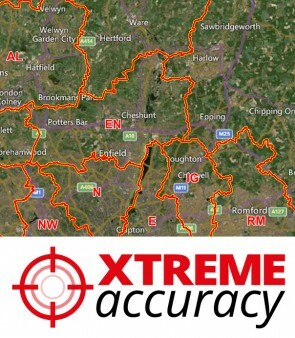 XYZ Postcode Area Boundaries (e.g. EH), Postcode District Boundaries (e.g. EH22), and Postcode Sector Boundaries (e.g. 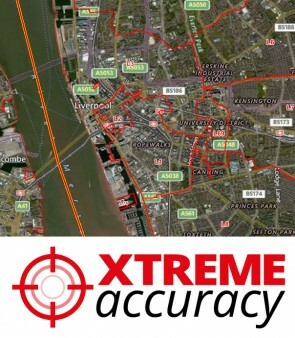 EH22 2) have been upgraded to our New “Xtreme Accuracy” Standard. This means the Boundaries are re-digitised so they not only fit around the Postcode Points but Now Follow Real Physical Features on Air Photography, such as Streams, Railways, Fences, Walls and Roads, etc. and are designed to provide Accurate and Cost-Effective Postcode Boundaries for all applications including Arcview, MapInfo and Google Maps.